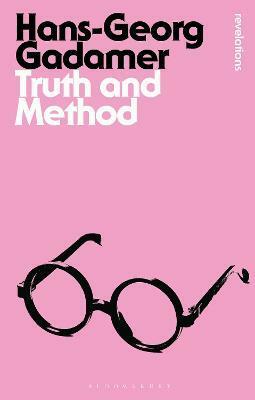 Truth and Method is a landmark work of 20th century thought which established Hans Georg-Gadamer as one of the most important philosophical voices of the 20th Century. In this book, Gadamer established the field of `philosophical hermeneutics': exploring the nature of knowledge, the book rejected traditional quasi-scientific approaches to establishing cultural meaning that were prevalent after the war. In arguing the `truth' and `method' acted in opposition to each other, Gadamer examined the ways in which historical and cultural circumstance fundamentally influenced human understanding. It was an approach that would become hugely influential in the humanities and social sciences and remains so to this day in the work of Jurgen Habermas and many others. Translator's Preface \ Introduction \ Foreword \ Part I: The Question of Truth as it Emerges in the Experience of Art \ 1. Transcending the Aesthetic Dimension \ 2. The Ontology of the Work of Art and its Hermeneutic Significance \ Part II: The Extension of the Question of Truth to Understanding in the Human Sciences \ 3. Historical Preparation \ 4. Elements of a Theory of Hermeneutic Experience \ Part III: The Ontological Shift of Hermeneutics Guided by Language \ 5. Language and Hermeneutics \ Appendices and Supplements \ Afterword \ Subject Index \ Author Index. Hans-Georg Gadamer was born on 11 February 1900 and died on 13 March 2002. He was the author, most notably, of Truth and Method, and, more recently, of The Beginning of Philosophy and The Beginning of Knowledge.